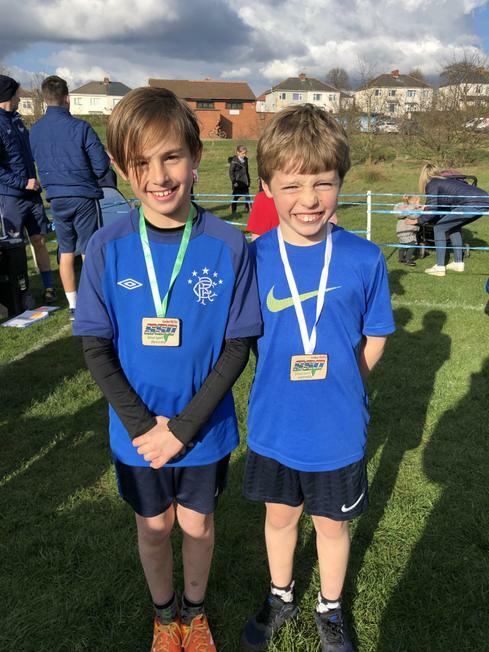 Y3-6 Cross Country, Tuesday 2nd April, Lockton Avenue Recreation Ground, Heanor, 4-5.15p - On Tuesday afternoon we took along 26 children – the most we have ever taken - to compete in the AVSSP Heanor Cross Country Competition. 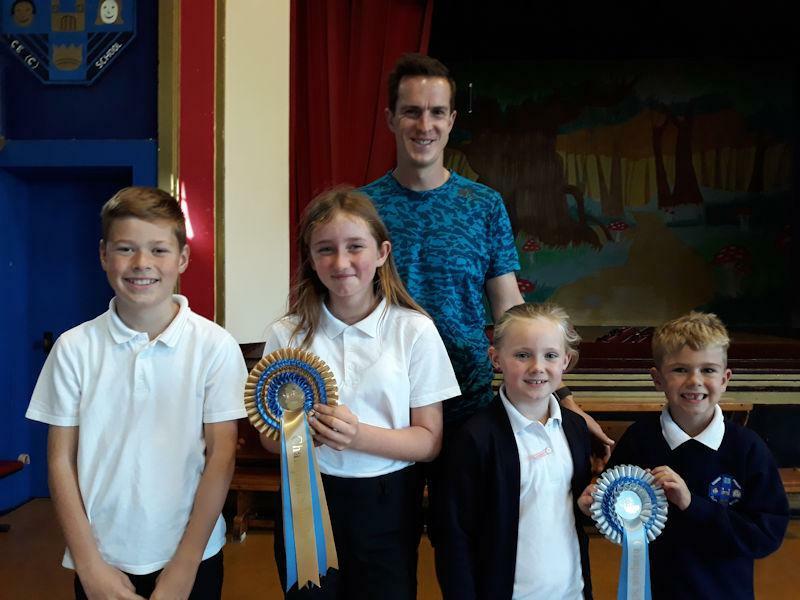 There would be 4 races – Y3/4 Boys; Y3/4 Girls; Y5/6 Boys; and Y5/6 Girls – for which 3 children must enter each race to have a ‘team’ to compete for the team trophy, whilst individual medals were awarded for 1st, 2nd and 3rd place. 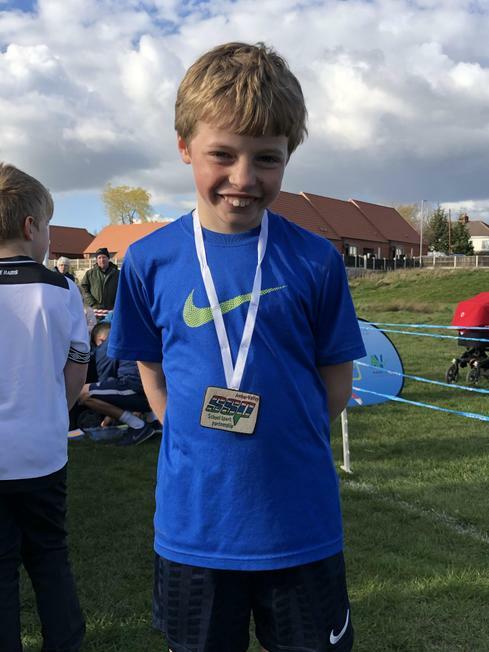 In the Y3/4 Boys Race Austin finished in a fantastic 2nd place, his 2nd medal in a week for school, with all the other boys placing in respectable positions. In the Y3/4 Girls Race Kyla finished in 4th place, narrowly missing out on a 3rd place medal, more about Kyla in a minute. In the Y5/6 Boys Race Addison Howe won his Race for the 2nd year in a row, taking Codnor’s individual wins to 4 years in a row, whilst the other boys had some great finishes too! In the Y5/6 Girls Race unfortunately we only had 2 year 6 girls turn up, which would have meant that we could not compete for the team trophy. Fortunately at Codnor we have children with great values of determination and teamwork and Kyla, who had not long ago run the Y3/4 Girls Race stepped up to run the Y5/6 Girls Race, finishing a fantastic 14th place against children older than her who had not already run a thousand metres. The top 3 positions in each race were added up to create a score for the team event with the lowest scoring team crowned champions, and at the presentation at the end it was confirmed we had finished in a terrific 3rd place, the best finish we have ever had in Cross Country. It couldn’t have happened without our fantastic children’s passion for sport or our supportive parents, but it definitely couldn’t have happened without the commitment of Miss Wilson who rearranged her day to ensure the children could still attend – a great team effort Codnor Primary School! Y3/4 Mini Tennis Finals, Ecclesbourne School, Duffield, Wednesday 27th March, 4-5.45pm - On Wednesday night Austin, Noah Jorasz, Elle and Heather went along to Ecclesbourne School to play in the AVSSP Y3/4 Mini Tennis Borough Finals as one of the top 4 teams in Amber Valley, having won the Heanor Cluster competition. Each of them would play 3 matches against opponents from Heage Primary, Pottery Primary and Riddings Junior - last years’ champions - to decide who would be 2018/19 Borough Champions. All 4 of our children played some fantastic tennis on the night winning 9 of the 12 games they played, having improved greatly on their cluster competition performances and setting a really high standard of tennis. 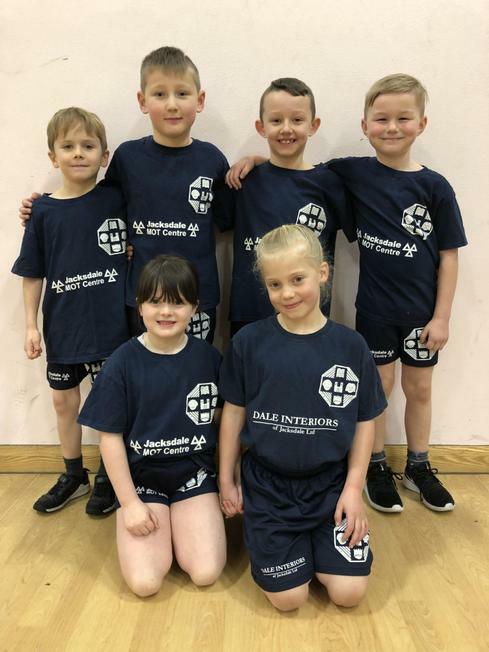 In the end we ran out Borough Champions – the first time our school has achieved this feat – and an amazing result which will see our Mini Tennis team attending the 2019 Derbyshire Schools County Finals! Terrific Tennis skills boys and girls and thanks to parents for your support. 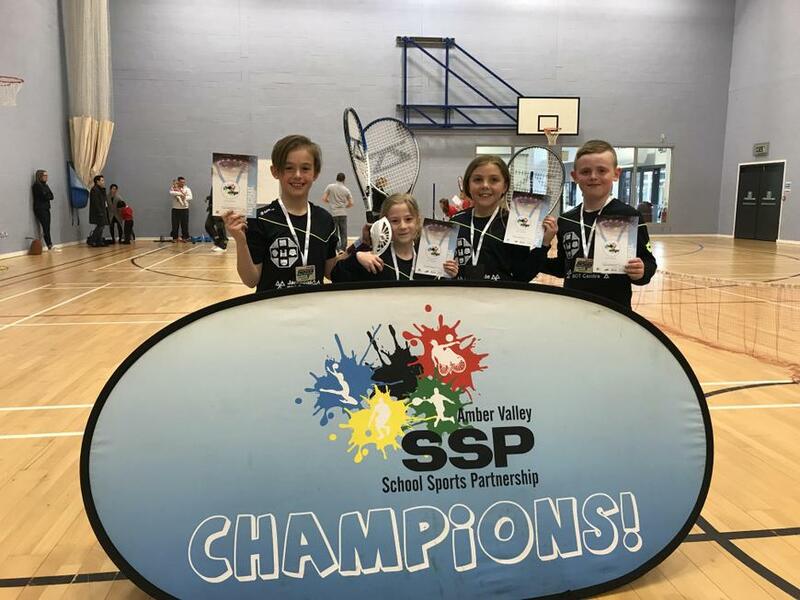 AVSSP Y4-6 Table Tennis, Wednesday 27th February, Belper Leisure Centre, Belper School, 4-5.45pm – We took along 6 players to this team competition, 4 of whom had not competed in table tennis before. All of the children had the opportunity to play 6 games against a variety of opponents, with one of our year 6 girls playing against a girl who plays for England. This just showed the gulf in ability, as many of our children had only practised for 4 weeks in school and played occasionally in the past. Despite this all of our children won at least 2 games each and had some very close matches against their opponents. Overall this led to the team finishing in 5th place overall out of the 8 teams in attendance, the third year in a row we have finished 5th in this competition (2018 – 5th /7; 2017 – 5th /6). Well done to the team for your determination in all the games, you were a credit to the school. 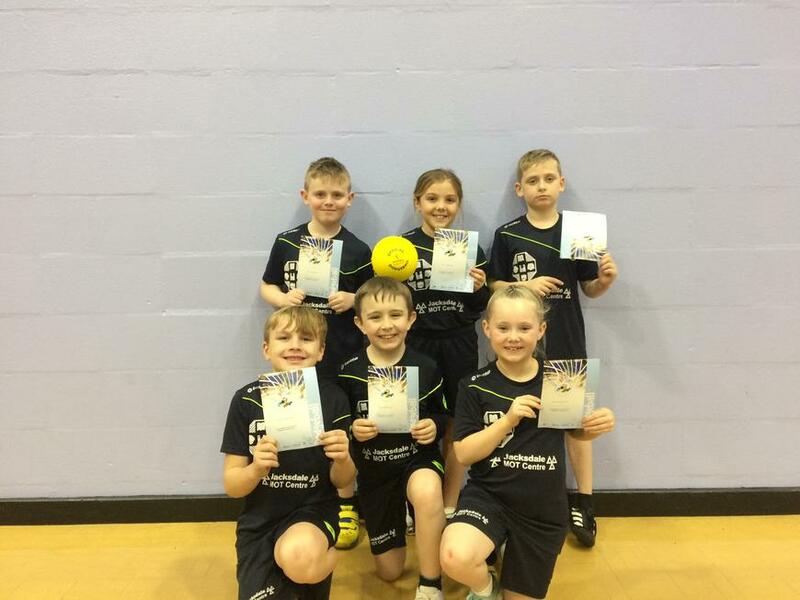 AVSSP Y5/6 Dodgeball, Tuesday 12th February, William Gregg Leisure Centre, Heanor 4-5.45pm – this was the first official AVSSP Dodgeball competition and we took 2 teams along to experience it. In a buzzing atmosphere at William Gregg both teams played 4 games in the initial group phase, with our Navy team winning 3 but crucially losing 1 against the eventual champions Marlpool Junior. Our Blue team unfortunately didn’t win any games in the group phase, but both teams played with great honesty and passion throughout the competition. This left our Navy team playing off for 4th to 6th place and our Blue team playing off for 10th to 13th place. Both teams won one game in this next phase with our Navy team finishing joint 4th overall and our Blue team finishing joint 10th of the 15 teams involved. Well done to both teams, you did our school proud as you always do. 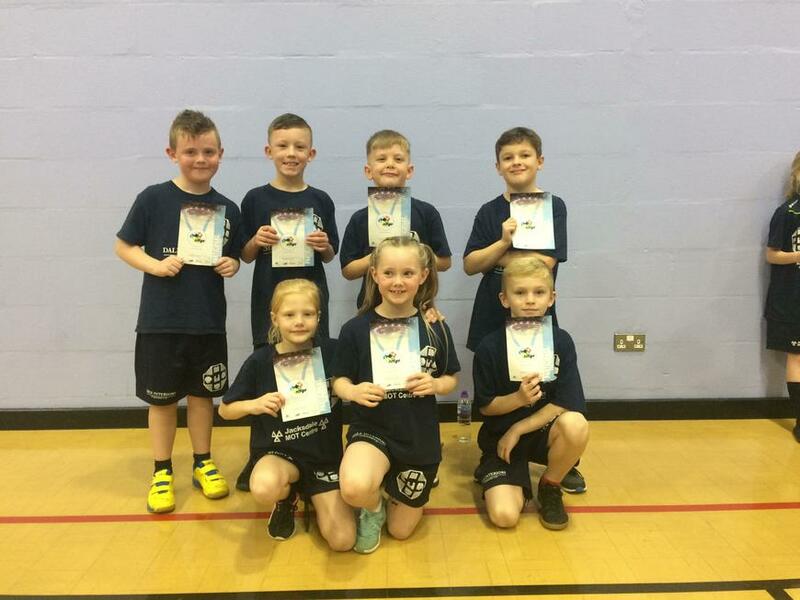 AVSSP Y3/4 Dodgeball Competition, Tuesday 5th February, William Gregg Leisure Centre, Heanor 4-5.45pm – We took along 8 children to this competition, 6 of whom had never played in a dodgeball competition before. Our team played some fantastic dodgeball with great teamwork, honesty and sportsmanship displayed by every player. In the end our team finished in 2nd place in the first group stage to advance to the semi-finals to play against Richardson A for a place in the final. In a tight game which ended with a one against one, Richardson sneaked the win to leave us in a play-off for 3rd against Loscoe. Sadly we lost this game to finish 4th overall with Howitt Primary worthy champions, but we were very proud of the team. Well done to all involved and thanks for fantastic support from everyone. 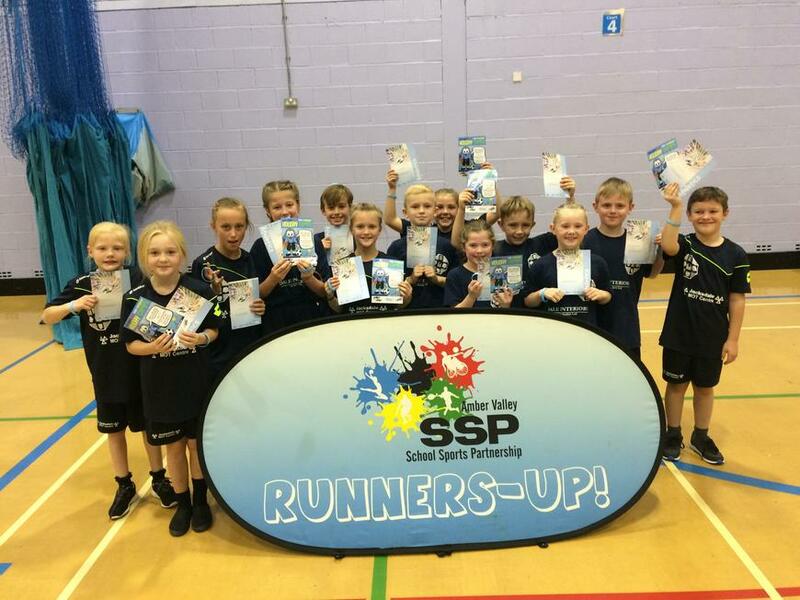 AVSSP KS1 Dodgeball, Tuesday 29th January, Aldercar High School, 4-5.30pm – This was the first official AVSSP KS1 Dodgeball competition and we took along 6 children for their first experience of competitive dodgeball. 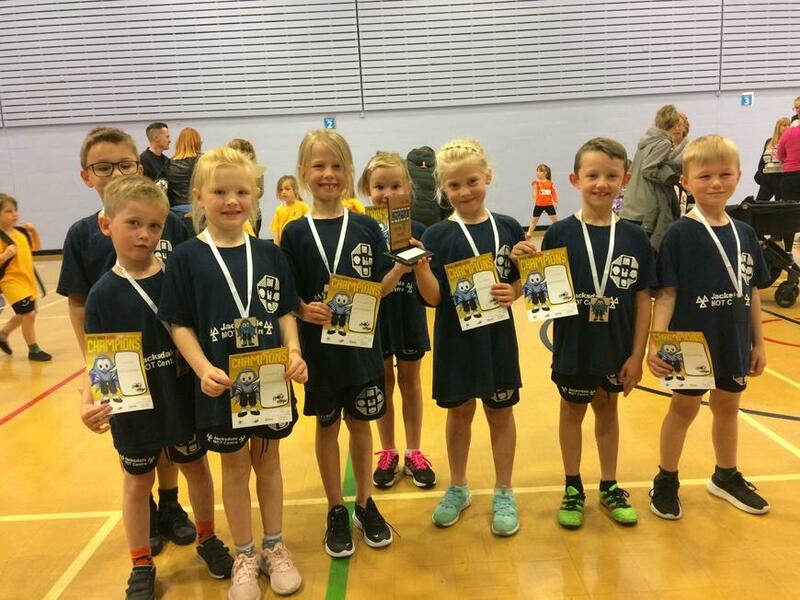 Miss Wilson said that the children were amazing in every game, winning 6 of the games and only losing out narrowly to Marlpool Infant to finish 2nd in their first attempt at the competition. Miss Wilson also went on to say how proud she was of our children for the way they played the game, showing great honesty and determination, and also great pride at such a good result. Well done Year 2s you did our school proud as always. 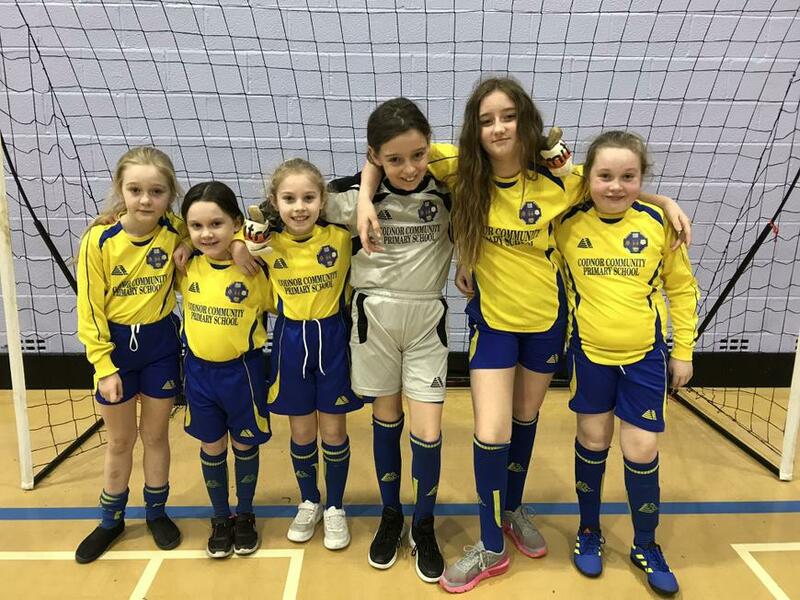 AVSSP Y5/6 Girls Futsal Competition, Tuesday 22nd January, Alfreton Leisure Centre, 4-5.45pm – As one of 7 teams at this competition the girls had the opportunity to play 6 games of futsal, for the first time for half of the team. Miss Wilson said that they improved with every game and that they showed great determination, but came up against some tough opponents to end the competition in 6th place. In only 2 of the games were they really outplayed, putting in excellent effort, tremendous teamwork and great passing skills and they never gave up. Well done girls. 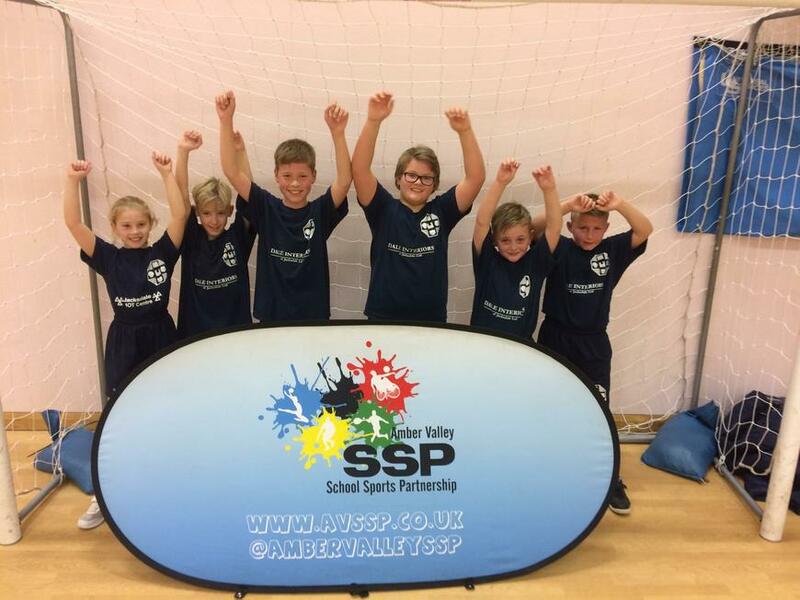 AVSSP Y5/6 Boys Futsal Competition, Thursday 17thJanuary, Alfreton Leisure Centre, 4-5.45pm – 7 boys went along this competition and they finished joint 3rd out of the 7 teams with 2-0 wins over Somerlea Junior and Riddings Junior, a 2-1 win against Leys Junior and an unlucky draw 1-1 against Langley Mill Academy. Unfortunately they lost 3-1 to Swanwick Primary and in a very tight final game, which had they won would have meant 3 teams finishing on the same points in 1st, they lost 2-1 late on to Shirland Primary who ran out winners due to this result. There were some great games and the boys had the opportunity to see Dan Magness show off his freestyle football skills as an added bonus, well done boys. Y5/6 Football Competitions – Tuesday 15th, 22nd January and 29th January, William Gregg Leisure Centre, Heanor, 4-6pm – The football team finished in a very respectable 4th place out of the 9 teams in this Heanor competition – just 3 points off 2nd place and a place in the county finals. The boys finished the competition with a combination of convincing and tight wins, but also some tight defeats – well done lads you did us proud! Y5/6 Football Competitions, Tuesday 11th December, William Gregg Leisure Centre, Heanor, 4-6pm. In the final round of games before Christmas we had 3 of our toughest games to date. Our first game against Mundy ‘A’ we won 2-0 with a great team performance; in the second game we were beaten by a very physical Waingroves ‘B’ team 1-3, who remained unbeaten; and in the final game we beat Loscoe, who up to that point had won every game, 2-1 with a superb battling performance to keep us in with a chance of finishing in the top 2 after Christmas. Well done boys. 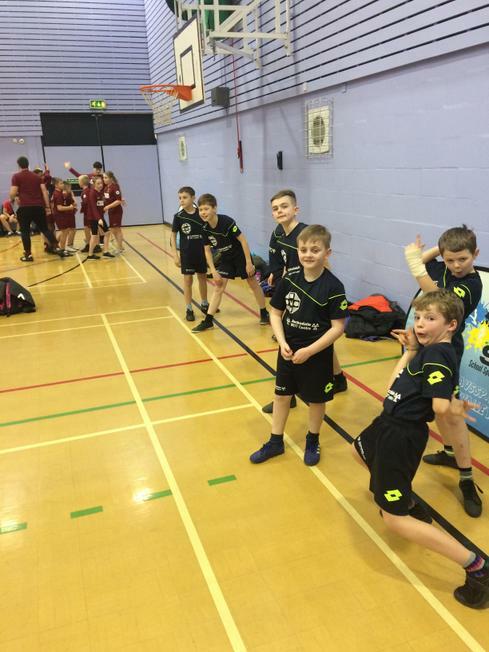 Y5/6 Basketball Borough Finals, Wednesday 5th December, Aldercar High School, 4-6pm - On Wednesday night our Y5/6 Basketballers went along to Aldercar High School to play in the Borough Finals for the second year running. The top 7 teams from the Amber Valley Borough were there after qualifying from their cluster competitions, in which 36 teams entered. We were grouped with Belper St Johns – who we beat 2-0 with a brilliant basket from Callum Young; Long Row with whom we scraped a 0-0 draw; and Mundy who beat us 6-2 in a game which we played very well. Due to other results this meant we finished second in our group and moved into the semi-finals to play the other group winners Kilburn. It was at this point that the team came to life with Callum again scoring to make it 2-0 before Kilburn drew level again. Olivia Allin then scored to make it 4-2 before Callum got an injury going in to the final few minutes. Reece Bridges then scored to make it 6-2 at which point we knew we would make the final and the team were delighted to be our first Basketball team to make the Borough Finals Final. It turned out we would play Howitt again, as in the cluster final, after they defeated Mundy and the team were determined to do their best. With Callum fit enough to play we started the game strongly taking the lead with another Callum Young basket before being pegged back to 2-2 and then going 4-2 behind to another basket. Despite this we were on top in the game with Sam Reeves and Robbie Thompson making great steals and dribbles eventually leading to another basket by Olivia to make it 4-4, which soon after turned to 6-4 as Jakub Czachorowski scored after another rebound. With only a minute left we just needed to hold out to the end to win the competition, unfortunately we couldn’t make it and Howitt brought it back to 6-6 to take it to ‘golden basket’ overtime. Sadly for us Howitt again won on the ‘golden basket’ with a calm finish to leave the team gutted but proud of their achievement, which they absolutely should be having played brilliant basketball on both nights and given everything to win the competition. Well done Basketballers you did us proud. Y5/6 Football Competitions, Tuesday 4th December, William Gregg Leisure Centre, Heanor, 4-6pm. In the 3rd round of fixtures we played against Waingroves 'A', who we beat 5-0; Langley Mill 'A' who we beat 9-0; and Langley Mill 'B' who we beat 3-1 after a slow start. All the boys who went along played fantastic football, all contributing to some prolific wins. We finished this week in 2nd place in the table, but with many more games to go before the competition is over, good luck for the next games boys. Y3/4 Handball Competition, Tuesday 27th November, William Gregg Leisure Centre, Heanor, 4-5.45pm. For the second year running we took two teams along to this event and both teams had lots of success. Our Codnor White team finished in 5th overall with excellent wins against Loscoe and Mundy, whilst our Codnor Blue Team finished a terrific 3rd place after making the top 3 playoffs with excellent wins against Loscoe and Langley Mill. All in all we were the most successful team as a school with both of our teams finishing in the top 5 - well done to all involved. Y5/6 Basketball Competition, Tuesday 20th November, Aldercar High School, 4-6pm. 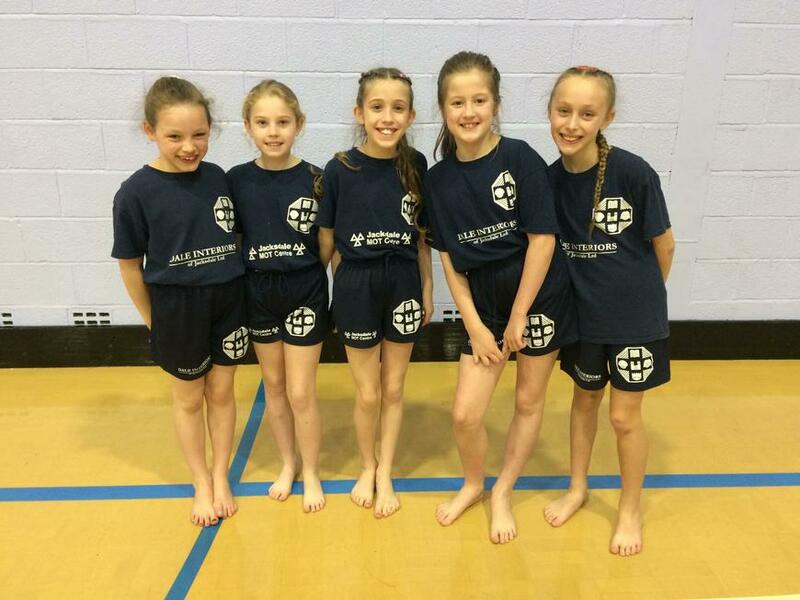 Our Year 5/6 basketballers went along to Aldercar to play in the AVSSP Heanor cluster Basketball competition. Our children only had a week of practice, so started slowly winning 2-0 against Langley Mill 'B' then losing 0-8 to Howitt leaving us requiring a win versus Mundy to make the semi-finals. We finally secured a 2-0 win with a late basket from Reece Bridges to set up a semi-final with Richardson. In an end to end, tight game we led 2-0 and 4-2 before being pegged back to 4-4 to take the game into overtime. There was no score in the next 3 minutes to take us to 'golden basket' overtime and Reece, again, scored the decisive basket to set up a final against Howitt who had already defeated us convincingly. By the final though we were a different team altogether, playing aggressive, and at times, brilliant basketball and we led the game early through a basket from Jakub Czachorowski. We were again pegged back to 2-2 by Howitt to take the game to overtime, and again 'golden basket' overtime, with chances at either end it took a stunning basket by Howitt to win the game. To say proud is an understatement as the children improved hugely from start to finish and they will move on to the borough finals with their heads held high. Y5/6 Basketball Competition, Tuesday 20th November, Aldercar High School, 4-6pm. 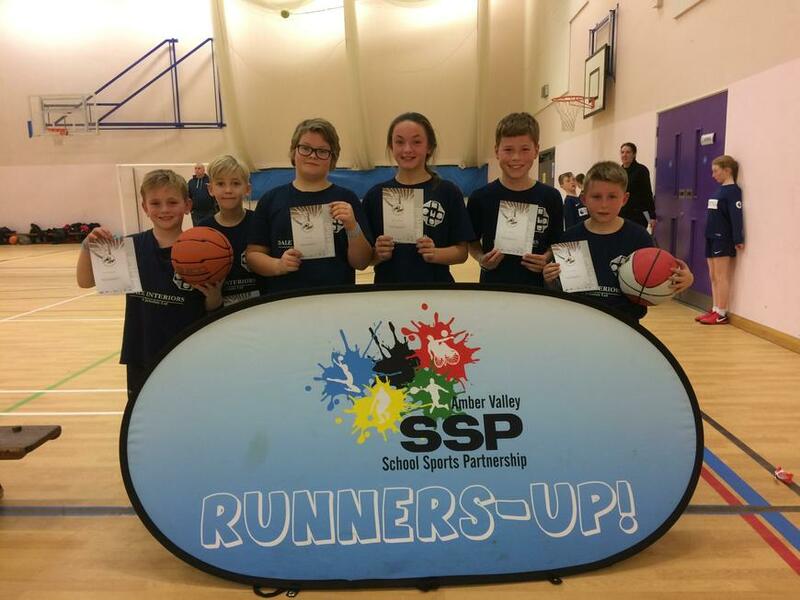 Our Year 5/6 basketballers went along to Aldercar to play in the AVSSP Heanor cluster Basketball competition. Our children only had a week of practice, so started slowly winning 2-0 against Langley Mill 'B' then losing 0-8 to Howitt leaving us requiring a win versus Mundy to make the semi-finals. We finally secured a 2-0 win with a late basket from Reece Bridges to set up a semi-final with Richardson. In an end to end, tight game we led 2-0 and 4-2 before being pegged back to 4-4 to take the game into overtime. There was no score in the next 3 minutes to take us to 'golden basket' overtime and Reece, again, scored the decisive basket to set up a final against Howitt who had already defeated us convincingly. By the final though we were a different team altogether, playing aggressive, and at times, brilliant basketball and we led the game early through a basket from Jakun Czachorowski. We were again pegged back to 2-2 by Howitt to take the game to overtime, and again 'golden basket' overtime, with chances at either end it took a stunning basket by Howitt to win the game. To say proud is an understatement as the children improved hugely from start to finish and they will move on to the borough finals with their heads held high. 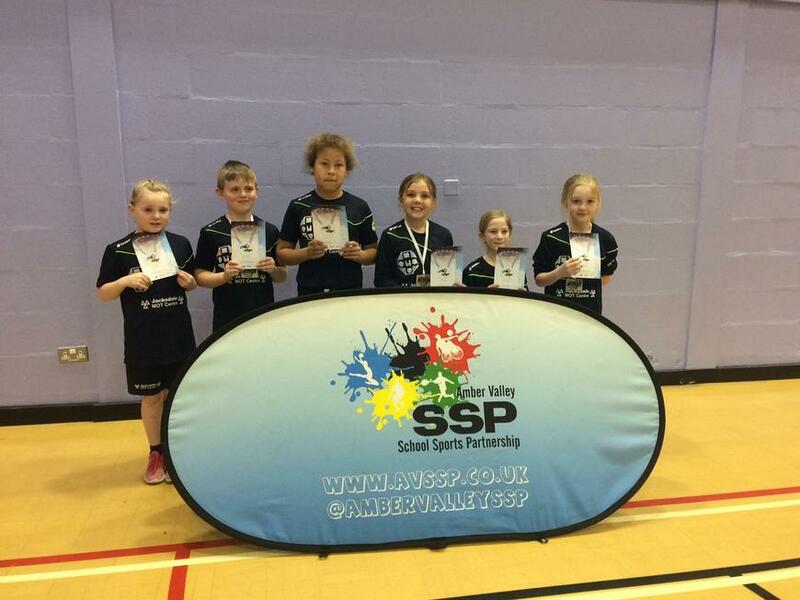 KS1 Handball Competition – Tuesday 13th November, William Gregg Leisure Centre, Heanor, 4-5.30pm. 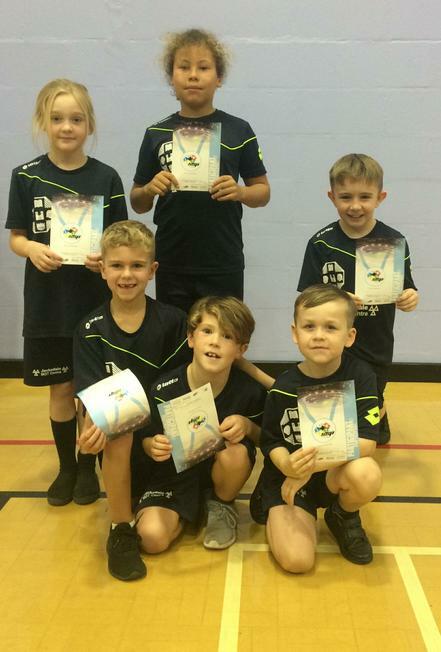 Eight of our year 2 children went along to play in the KS1 Handball Competition at Heanor and they were fantastic. They played 7 games in all against schools from the Heanor area, winning 5 and losing just 2 with some precision passing and super shooting. As a team they showed great enjoyment and teamwork, doing themselves and the school proud in a buzzing William Gregg Leisure Centre, going on to finish joint 2nd overall, our best ever finish in this competition. Well done to the team, and thanks to parents for your support! Y5-6 Football Competitions – Tuesday 6th November, William Gregg Leisure Centre, Heanor, 4-6pm. At the first of these competitions the boys who went along lost their first game against Chaucer 6-2, before comprehensively beating Langley Mill ‘A’ 6-2 and finally losing their final game against Mundy ‘A’ 3-2 in a very tight game. Well done to the Football Team and good luck in future games. Y5/6 ‘Elite’ Tag Rugby Competition, Thursday 25th October, Belper Rugby Club, 4-6pm. On a cold afternoon ten of our children attended this competition amongst the best 9 schools in Amber Valley. In the first stage of the competition we were up against Belper St Johns, Duffield Meadows and Leys. We won 2 of these games, only losing out to a very good Belper team meaning we finished 3rd in this group and moved into the 5th/6th play-off to face Swanwick. In a very tight playoff game we edged it 6-5 in the last minute to finish a very respectable 5th place. The children gave it their all and played well as a team throughout the competition showing great respect for their opponents in all the games! Well done to all players and thanks to parents for their respectful and fantastic support. Development Rugby Competition, Wednesday 24th, Belper Rugby Club, 4-6pm. For all 9 of our children this was their first rugby competition, and for a couple of the children their first school competition ever. In every game they played some very good rugby and finally got their rewards in beating Swanwick ‘B’. There were some fantastic tries scored and terrific teamwork from all our players, as well as great support from parents, well done to everyone involved. Y3-6 Sportshall Plus, Thursday 18th October, Alfreton Leisure Centre. This event was aimed at children who do not normally participate in school sport to build their confidence and self-esteem, hopefully encouraging them to participate more often. The 6 children who went along had a great time, showing great enjoyment and did their very best in all the events, cheering each other along all the way, well done team. Y3/4 Sportshall Athletics Competition - Tuesday 17th October, Alfreton Leisure Centre, 4-6pm. 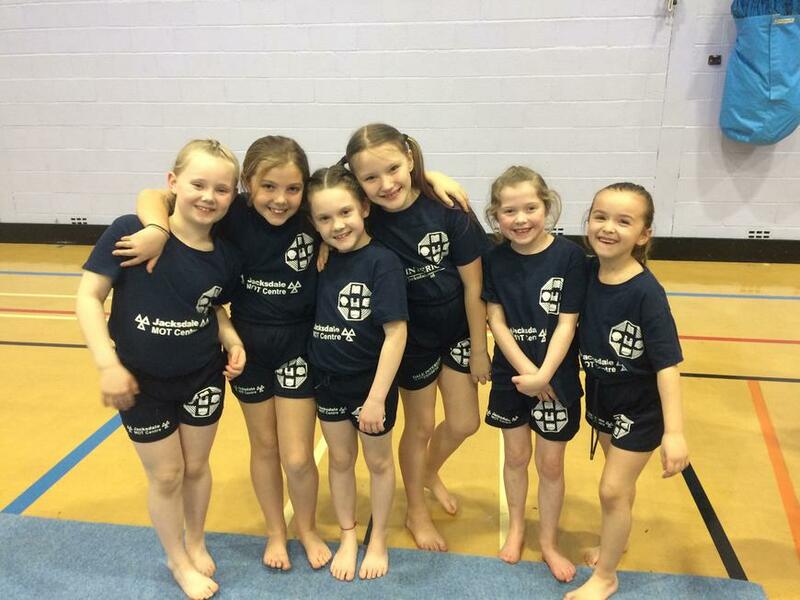 As one of 11 teams at a buzzing Alfreton Leisure Centre, the children did themselves and the school extremely proud! We were attempting to win the competition for the second year running, but in the end we finished a close 2nd overall, just 60 points behind Leys Junior, with some fantastic field events and great performances in the relays. 2nd position continues our fantastically successful run in Sportshall Athletics over the past few years, well done to the whole team. 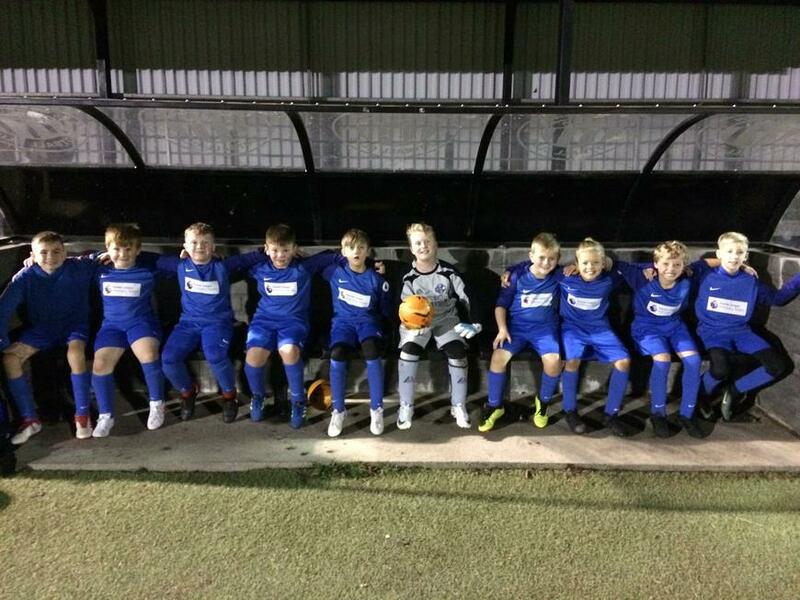 Y5/6 Gregg Cup Quarter Final – Friday 13th October, Heanor Town Football Ground, 7.15pm. This was the second time we have participated in this competition and it was a nice experience for the boys involved. It was on opportunity to play at the Town Ground, under floodlights with parents and supporters in the stands. We played against Howitt Primary School on a blustery night in what ended up being a fantastic game of football. Howitt took the lead midway through the first half to go into half time 1-0 up. The scores could easily have been level as we had lots of good chances. In the second half the boys went out to play with a great attitude, playing some great passing football. Eventually the pressure we put on Howitt paid off as the ball was played into Addison Howe who scored with a great right foot finish. This gave us the boost we needed and soon after we won a penalty after a push on Robbie Thompson in the box. Alfie Beardsley dispatched the penalty to put us 2-1 up with 15 minutes to go. Howitt came back and despite a great save from Layton Cox they equalised with 5 minutes to go. In the last few minutes there were chances for both teams but Charlie Murphy sealed the win with a stunning strike from the right side of the penalty area. A well-earned and well deserved 3-2 victory to take us to the semi-final. Well done to all! 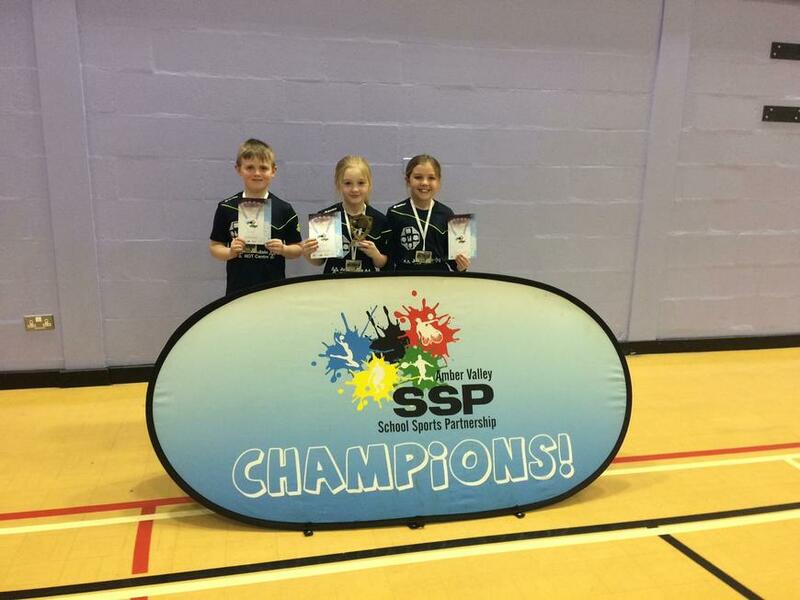 Y5/6 Sportshall Athletics Competition - Tuesday 10th October, Alfreton Leisure Centre, 4-6pm. As one of 10 teams at a busy competition the children did themselves and the school extremely proud! The children competed in the same events as the KS1 children but against opposition from the whole Amber Valley Borough. Every child was excellent on the night and we finished 5th overall, only a few points behind 4th place. A good result for the school – well done to all who attended! 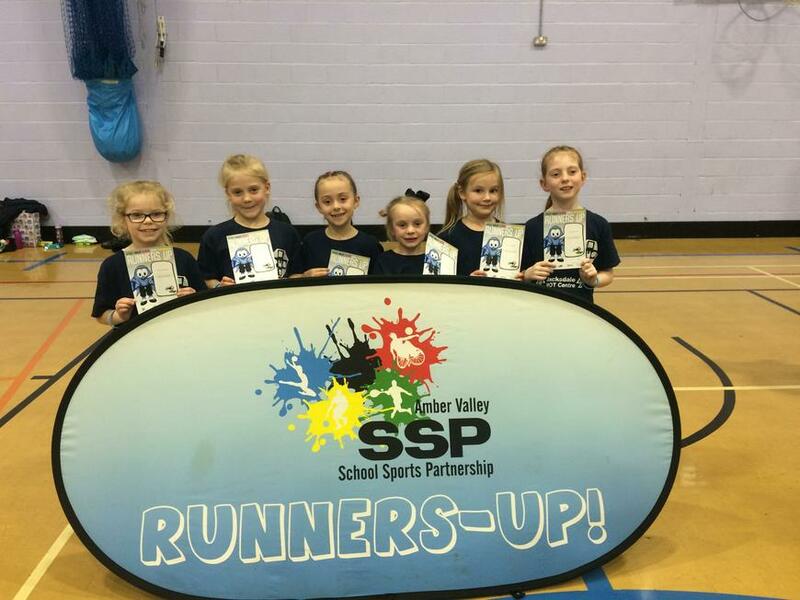 KS1 Sportshall Athletics Competition - Tuesday 2nd October, William Gregg Leisure Centre, Heanor, 4-5.45pm. Starting the competition we were looking to retain the winner’s trophy for the 3rd year running. 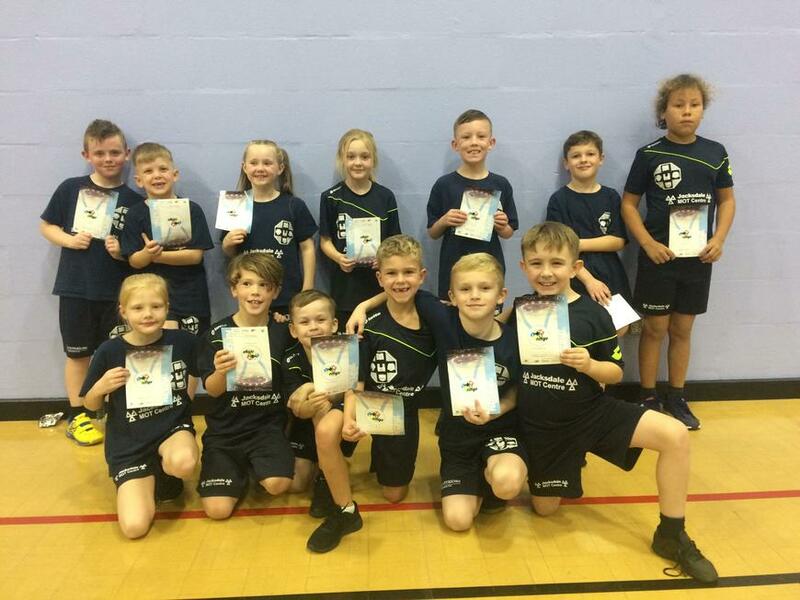 The children put in a tremendous amount of effort and showed great skill and enjoyment during the Speed Bounce, Standing Long Jump and Chest Throw events and were very strong in the relay races. In the end we were only 30 points ahead of Howitt Primary and finished 1st out of the 9 schools! A fantastic achievement for all those children who competed keeping up our successful streak! Y5/6 Football Competition - Thursday 27th September, Eyes Meadow, Duffield, 4-6pm. This was a mixed competition to which we took along 13 boys in 2 separate teams. Each team played four games with a group format up first. Our ‘B’ team won one and lost two which meant they finished 3rd in their group, they then went on to beat their opponents in the 9th place play off to finish the competition off with a win. The ‘A’ team won two games against Langley Mill ‘B’ and Codnor and Ironville, drawing the other game against Leys Junior which meant they finished top of their group to progress to the semi finals. We went on to lose 3-1 to a very good Belper St Johns team in our semi-final game meaning a joint 3rd finish, our best result in this competition. All the boys did their best on the day and will have lots more opportunities to play in the year ahead. 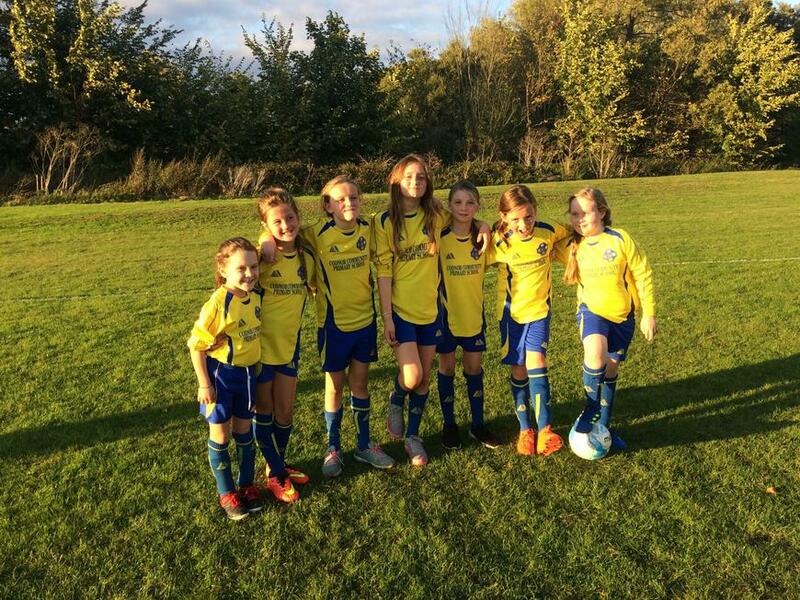 Y5/6 Girls Football Competition - Wednesday 26th September, Eyes Meadow, Duffield, 4-6pm. We took 7 girls along to this 6-a-side competition. The girls who went along played 4 games, despite not scoring a goal during these games they only lost one game 1-0 to a very good Belper St Johns team drawing the others 0-0. The girls did a fantastic job, finishing joint 9th overall and playing really well as a team, this hopefully inspired some of them to go along to the local club to play and get even better. 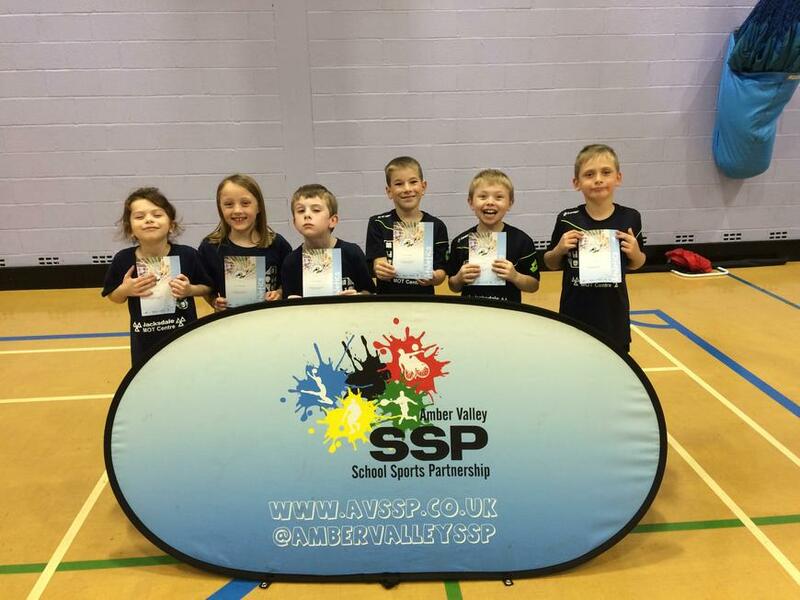 Amber Valley School Sports Partnership Champion Schools Gold and Silver Awards AVSSP Champion Schools is a participation based award recognising those schools who have provided the most competitive opportunities for their students to take part in sport against other schools. The competition runs throughout the academic year with an on-going league table published regularly. 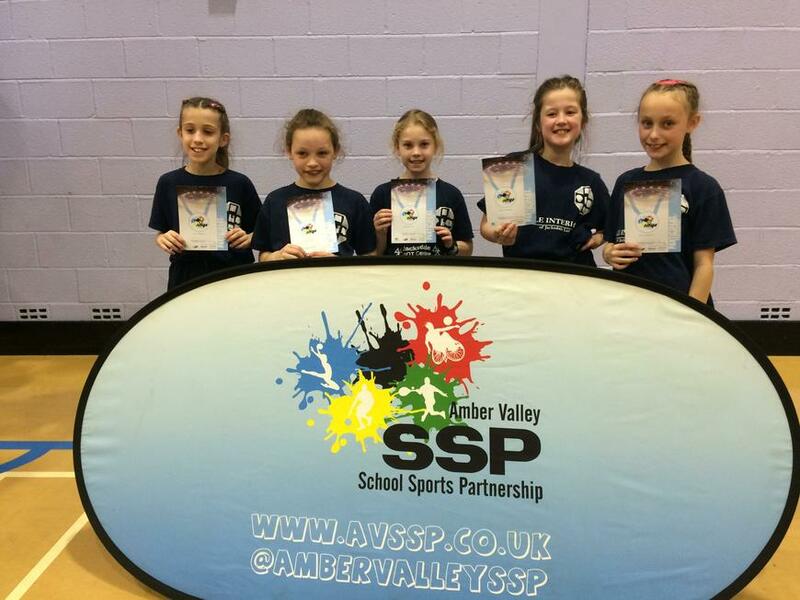 This allows schools to see how they compare to others locally in terms of participation and achievement in inter-school competition Schools are awarded points for attending any of the competitions on offer to every school in Amber Valley (borough finals are not included in the award), additional points are then awarded for finishing 1st, 2nd or 3rd as well as for being awarded with the School Games Values award at an event. Additional teams at events are not counted towards schools points total with only the highest placed team being awarded points. Schools are separated into categories according to school size with an additional Infant award. The top 3 schools in each category are presented with Bronze, Silver or Gold awards for their efforts at the beginning of the following academic year.